car and auto insurance with low down payment! Protective Agency has provided quality yet cheap car insurance with a low down payment and low monthly payments for over 60 years. As seen above you will find that is true for other auto insurance, truck insurance, motorcycle insurance, scooter insurance, RV insurance, SUV insurance. Experience the most competitive rates in the industry for all private and commercial vehicle insurance and renter’s and homeowner insurance. Servicing all of North Carolina, Protective Agency employs experienced and licensed professionals to research your best possible plan to transfer your financial risks and ensure that everything you need to be insured is protected. Considered experts by our clients across North Carolina, Protective Agency sets the standard for offering comprehensive and affordable auto insurance, flexible car insurance, motorcycle insurance, vintage and classic motorcycle insurance, and commercial insurance for both auto and trucks. Cheap car insurance and other auto insurance policies are available in all shapes and sizes. Whether you require only the minimum state-required level of insurance or would be better served with a comprehensive policy, our licensed agents are available to share their expertise to get the coverage you need at an affordable price. Making sure you have the right car insurance for you, your business, and the vehicle or vehicles you drive is our ultimate goal. If you have a less than stellar driving record and are worried that your insurance rates are going to be too expensive, our vehicle insurance experts can work with you to find the right policy with your desired level of coverage, at a price that won’t break the bank. Additionally, if you are one of the many North Carolina drivers with a tarnished driving record, Protective Agency can offer special rates and financing options to make any insurance policy affordable. We can also provide you with a quote, no matter what kind of vehicle you drive or what your driving record is. This quote can help you understand what your vehicle insurance options in North Carolina are, and how you can best protect yourself and the vehicle you drive every day. We welcome drivers requiring an SR-22 because of previous driving violations and will provide the necessary insurance coverage to achieve reinstatement of your North Carolina driving privileges. Losing your driving privileges can be financially devastating, and we want to be your advocate and help to get the outstanding issues resolved. If you have any questions or concerns about your insurance coverage and how that affects any driving violations you may have, please contact our experts for more information. We understand that some vehicle owners choose to purchase only the North Carolina minimum requirements, while others may want the full coverage that a comprehensive car insurance policy provides. We are as flexible as you need us to be. You can call us for a vehicle insurance quote, request a quote online, or visit any of our 14 locations across North Carolina. Whichever option you prefer, we look forward to serving you and providing solutions for your auto, motorcycle, or commercial vehicle needs. Motorcyle insurance is required in a state like ours, blessed as it is with great weather and lots of sunshine, which has led to an increase in motorcycle riders and owners in North Carolina. An increase of motorcycles on the road means an increase in potential accidents on those crowded roads. Your motorcycle should be something that you take pride in, whether it is an old classic that you’ve refurbished or a new motorcycle that you can’t wait to take out and enjoy.  Our licensed professionals at Protective Agency understand how popular motorcycle ownership has become in our state, and we make coverage available for almost every style of motorcycle. Whether your bike is a three-wheeler built for cruising or a scooter for running errands around town, we are ready to make comprehensive coverage available to protect both your investment and your liability. With over a quarter of a million registered bikes in North Carolina, our motorcycle coverage is second to none. You can decide your coverage selections based on your individual circumstances and budget, and we will make that option happen for you. Similar to the personal auto package we offer, our motorcycle insurance provides liability coverage, physical damage, and other optional coverages to protect your financial investment and your personal liability of ownership. The licensed professionals at Protective Agency understand commercial vehicle insurance and what it means for you as a driver, and as a business owner who may rely on commercial vehicles to get your product where you need it to go.  We also know that most personal auto policies exclude coverage for vehicles that are used for business purposes, which could put you in a tight spot if you need to use vehicles to do your job. The solution to this problem is a commercial auto policy. In recent years, there has been an expansion of jobs that require their employees to provide their own vehicles for business purposes. Delivery drivers, Uber drivers, Lyft drivers, and other jobs fall under this new category. As someone who is using their personal vehicle for business use, you want to make sure that you are covered by the right kind of vehicle insurance that protects you, your car, and the people and products that may be riding in your vehicle alongside you. 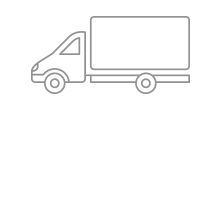 Whether you are a one-person operation or a transportation business with a fleet of delivery vans, the professionals at Protective Agency can meet the specific insurance needs for you and your business. Our commercial vehicle insurance policies provide higher limits of liability, are not limited to just four vehicles, and cover multiple types and sizes of commercial vehicles. This means that your unique transportation situation can be customized in a commercial insurance plan that covers you and all your vehicles, no matter what. Like most other states, North Carolina has specific requirements regarding heavy vehicles, many of which operate in the commercial sector. Our licensed professionals will be available to help navigate your jurisdictional requirements and file the necessary forms and permits so that your vehicles are always on the road legally. If you have any questions about how Protective Agency can help insure your commercial vehicles, please don’t hesitate to contact us today. 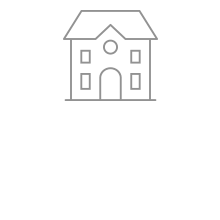 Protective Agency knows homeowner’s insurance is crucial because owning your home is a huge step in your life, both personally and financially. We understand that your home is where you have grown or plan to grow your family, a place that holds many memories, and an investment of your time and money as you care and maintain it regularly. Insuring this investment is your top priority, and we can help. For most North Carolina residents, their home is their most valuable asset and, as such, protecting it with comprehensive insurance coverage is paramount. Our homeowner’s insurance packages offer all the coverages that will provide the protections you require to make sure that your home and your family stay covered. Our insurance professionals will walk you through each piece of the insurance puzzle, answer all your questions, and help you arrive at an informed decision to protect your home. Our intent will always be to provide the coverage you want at an affordable price. We can help you decipher your homeowner’s insurance options, discover what level of coverage you need, and make sure all of this is as little of a financial burden as possible. Renters insurance is one of those policies that every renter needs, but not every renter buys. Many folks who rent a house or apartment make the false assumption that their landlord’s insurance will cover their personal belongings, but this is unfortunately not the case. When you are renting a home or apartment, you should always consider additional insurance coverage for your personal belongings and personal liability.  A renter’s policy is typically very affordable since the policy does not cover the building you’re living in, just your personal property and personal liability. Renters insurance is must if you are renting your home or apartment. The ups and downs of the housing market mean that more people are choosing to rent their homes or apartments for longer than ever before. Some people may not be in a position where they are ready to invest in a home and would prefer the flexibility of renting until they are ready to purchase. Protecting yourself as a renter with insurance is one of the most important things you can do to cover the loss of your personal property. When you are considering a renter’s insurance policy, make a list of your personal belongings and how much they are worth. You will also want to consider how inconvenient it would be to replace those items, regardless of their monetary value. Renter’s insurance gives you a financial foundation to work from should anything happen in your rental. At Protective Agency, our insurance professionals are available to offer expert advice on how to decide on the amount of coverage and any optional coverage that you may require as a renter.  Our friendly and knowledgeable auto insurance agents will help you obtain not only the lowest down payment but also the lowest monthly payments possible. We excel at providing vehicle insurance for drivers with any driving record, whether it is tarnished, excellent, or somewhere in between. We will help you if your license is under suspension by providing the necessary proof of automobile insurance forms to the North Carolina Department of Motor Vehicles. In short, we are here for you no matter your situation or your insurance needs. With over 19 offices throughout North Carolina, Protective Agency is here for you and your car, auto insurance and other insurance needs. Our staff is finely tuned to meet the service needs of every customer up and down our state. You may communicate your needs by calling us, visiting a local office, or visiting us online, and we will be delighted to assist you. We understand that every policy sale must be supported by excellent customer service to ensure our relationship with all of our clients is for the long term. We also understand that you expect your service requests to be handled efficiently and effectively; our customer service representatives will make that happen every day, every time. Since Protective Agency offers cheap car insurance throughout North Carolina, we support our valued customers with offices in 18 locations. Want car insurance near me? We are close by and in your neighborhood, ready and waiting to serve you. Our highly experienced and licensed professionals at Protective Agency offer cheap car insurance and low down payment solutions to help you, your passengers, your fellow drivers, pedestrians, other people’s property, your business, and, oh… did we mention your own car and auto, too? When you need reliable yet cheap car insurance, motorcycle insurance, homeowner’s insurance, renter’s insurance, or commercial vehicle insurance, call Protective Agency. We are available for any and all of your questions or concerns and are dedicated to finding the right insurance for your needs, whatever they may be. 19 locations in North Carolina. Find your nearest agent. For over 60 years, Protective Agency has been providing North Carolina drivers with quality insurance and exceptional financing options.